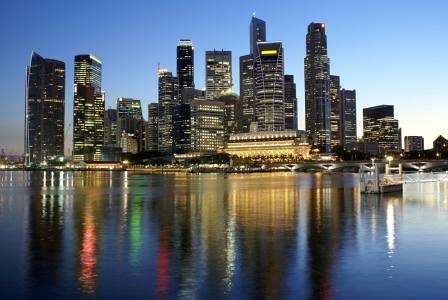 Singapore is not only a gateway to the beaches and jungles of South East Asia but a destination to be seen for itself. An immaculate city with welcoming people, you can feast on a fusion of East meets West - and the noodles and beer aren’t bad either! Standing on the Orchard Road you would be forgiven for thinking you were in New York; the wide road, sprawling malls and latest fashions in the shop windows are very Fifth Avenue. Then you feel the humidity of the Singaporean air and hear the chatter of Chinese accents and realise this is fifth avenue with a difference. In Chinatown every market stall displays a tempting treat to be enjoyed with an ice cold Tiger Beer - the must try Singapore brew. Hawker centres across the city sell a combination of Chinese and Malay delicacies, the quality of the food often far out ranking that of the plastic chairs and rickety tables it is eaten from. In the Indian and Arab quarters you can be completely transported to other parts of Asia through the buildings, atmosphere and aromas unique to each region yet found in this one city. The nightlife is distinctly ‘New Asian’ – in fact the popular bar on the 71st floor of the Swissotel is called the New Asia bar. With a glass of bubbly in hand you can mix with both Singapore business types and smart tourists whilst gazing at the Singapore skyline. ( For more on this lofty location see our post on The Most Impressive Rooftop Bars in Asia.) Slightly less modern but no less elegant is the Long Bar at the Raffles Hotel, famous for being the home of the Singapore Sling. 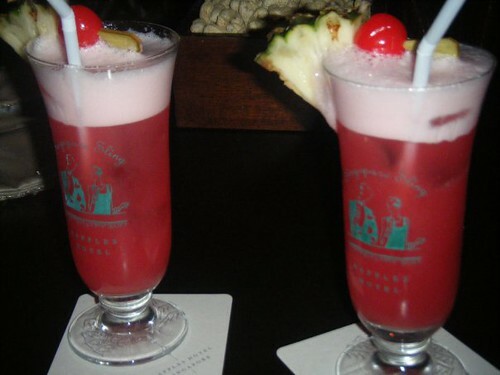 This sweet, pink cocktail is best enjoyed beneath the colonial beams and wooden fans of the bar it was born in. There is live music most weekends and the shells of monkey nuts dust the floor, a visit to Raffles is an experience in itself. Another interesting nightlife experience is the Clinic Bar in Clarke Quay. Perhaps not to everyone’s taste it is a bar set in a hospital! Instead of sofas there are hospital beds and the bar stools are wheelchairs. Drinks can be served in a choice of drip or syringe – in short it is weird, but not something we have seen anywhere else in the world. For a family friendly unique night time activity head to the Singapore Zoo Night Safari. The Night Safari offers a 40 minute tram ride around the park after dark to catch a glimpse of the animals when they are most relaxed. You can get up close with lions, tigers, leopards and more. The zoo also holds shows and cultural experiences throughout the evening which are included in the price of the ticket. 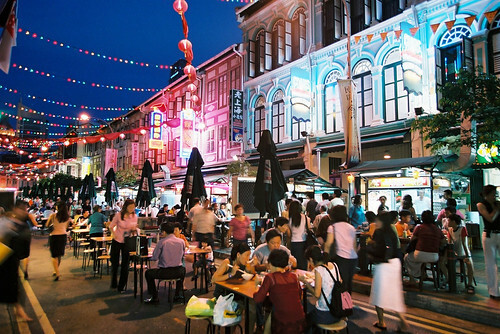 Between the food, shopping and nightlife Singapore offers a unique experience with something to satisfy all tastes. For the latest deals on flights to Singapore visit our website or call a consultant to have a Singapore holiday tailor made for you. Whether you have a particular hotel in mind or need some advice, our consultants will advise you on the perfect accommodation and extras to make your Singapore holiday one to remember! Call 0208 045 4186 now.